Students now have a dedicated space on campus where they can pray, meditate, reflect, or simply be quiet and center themselves, said Student Life Director Erin Logan. 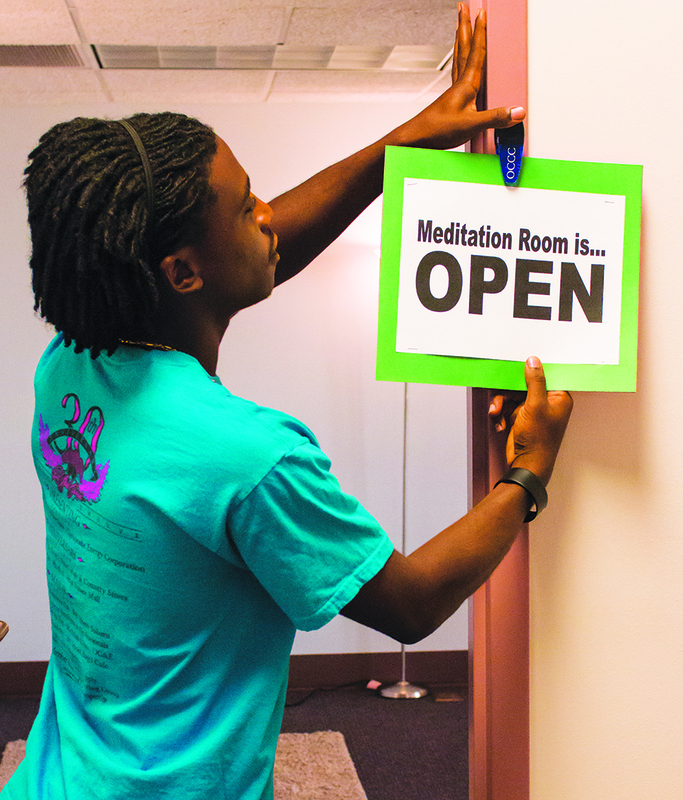 The new facility, the Student Meditation Room, opened Aug. 30 in the Keith Leftwich Memorial Library, Room 101. Logan said she’s was approached by several students over the summer to put in place a facility where they could pray or go to reflect on the day. “We discovered a need for some of our students who pray a certain number of times a day, or need a space to go where they can do some personal reflections. “And we didn’t have a place dedicated to that,” Logan said. Logan says the space is designed to be as multifunctional as possible, and should be able to accommodate all types and styles of prayer and meditation for both individuals and small groups. Logan said the Meditation Room will be available during library hours, and will be open to use at all times during those hours. And no extra funding was needed to create the meditation room, Logan said. Although some of the religious clubs on campus offered to help with funding the project, Student Life was able to reallocate the necessary resources. Logan said the students who have requested the Meditation Room are working towards a policy of acceptance. “They want it to be for everybody. They want to get to know more about other religions and other cultures and ethnicities on our campus. For more information, stop by Student Life’s offices in the Main Building, or visit the Meditation Room in Library Room 101. For more information about cultural programs, go to www.occc.edu/studentlife.